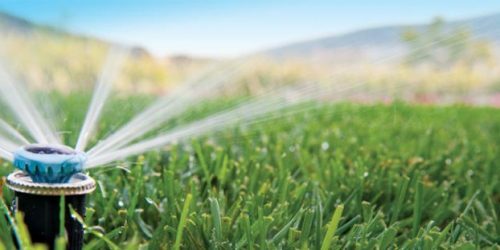 Our irrigation designer will meet with you on site to discuss your various needs, take various measurements regarding your property such as water pressure & meter size. A quote package will be prepared for you and sent to your email. This package includes a detailed quote breaking down the various aspects of the system, our All inclusive maintenance agreement, lifetime warranty agreement and our referral rewards program. Once you have approved the work and sent us the signed contract, our CQT ( City qualified Trade Contractor ) will acquire a plumbing permit to install the required backflow device. We will notify Alberta one call to locate any buried utilities. Depending on the size of your system the installation may take one or two days. During this time our CQT will install the backflow prevention device as per city requirements, along with the irrigation mainline if required. Our installation crew will install the exterior parts of the system. Once complete the system will be tested and demonstrated to you! After one month we will stop by your landscape and perform a walk through to ensure your landscape is receiving proper coverage and ensure every aspect of the system is functioning properly. Our dedicated works to constantly find cost savings while reducing our environmental impact. Skydrop allows water program management from a computer, smartphone or tablet. Unlike other wifi enabled controllers, it also retains the the programming capability at the controller itself. Ensuring if your wifi network goes down, you are still in control. 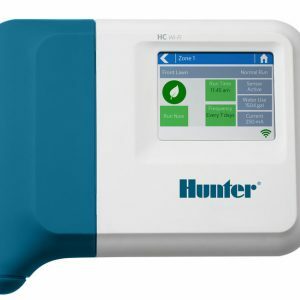 The Hunter HC dynamically creates a intelligent watering schedules based on over 8 environmental factors. Utilizing pressure regulating components & hunters high efficiency MP rotator nozzles we provide systems that provide better value per SQFT then our competitors. Our heads allow us to cover up to 300% more per zone then competitors compared to a installation utilizing standard adjustable spray nozzles. This means up to ⅓ of the zones are required, results in substantial savings on installation costs. Through design practices centered around head to head coverage we incorporate various sprinkler heads & nozzles allowing a installation tailored to each application’s unique features. This results in a design requiring less sprinkler heads that provides complete coverage while operating with the least amount of required to ensure you lawn & garden is lush & green. We offer a life time warranty on all our sprinkler systems when we perform your annual maintenance. Our life-time warranty offers protection you can not find from any other irrigation company in Calgary. Never again worry about an unexpected part breaking or pipe bursting, we have it covered.